We don't trust AI much, either. The Facebook application is seen on a phone screen Aug. 3, 2017. We're still using it, but Canadians are losing faith in Facebook. According to annual trust research done by Proof Inc. (formerly Environics), Canadians' trust in Facebook has taken a dive. Just 34 per cent of Canadians now say they trust the platform, a 17-point drop from 51 per cent in 2017. Trust in social media overall has fallen to 22 per cent. By contrast, "traditionally detested" industries like telecoms and insurance companies sat at 30 per cent. While we may have grave concerns about how Facebook behaves as an organization, we still use it, because it delivers the things we expect of it.Josh Cobden, Proof Inc. 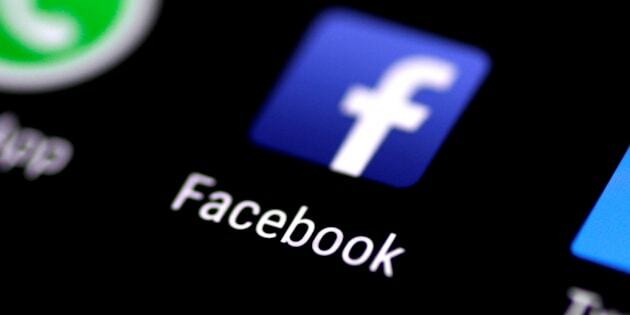 Proof Inc. executive vice-president Josh Cobden told HuffPost Canada that Facebook had one of the largest drops in trust of any company in their study, second only to Bombardier, which fell by 20 percentage points. Despite the drop, the majority of Canadians— a whopping 84 per cent— still say they are actively using Facebook, a fact that Cobden called the social media network's "saving grace." Cobden said Facebook continues to deliver a product that is reliable, which is the number-one source of trust. "While we may have grave concerns about how Facebook behaves as an organization, we still use it, because it delivers the things we expect of it," Cobden said. "But it's the stuff that we don't expect, and that's sort of the use of our data that is pulling them down in terms of reputation." Cobden noted the Proof survey was carried out from Jan. 18 to Feb. 5 of this year, Facebook's drop in trust among Canadians is a result of research completed from Jan. 18 to Feb. 5, after news broke of Russian interference in the U.S. presidential election but before the Cambridge Analytica scandal. "I think people have been worried about Facebook user privacy for as long as there's been a Facebook," he said. "If we did the survey today, it might be even lower." Canadians aren't big on artificial intelligence, either. Just over a third of Canadians — 38 per cent — trust AI to contribute positively to the Canadian economy, and only 37 per cent trust it to improve their consumer experience. However, three in 10 Canadians are on the fence, saying they neither trust nor distrust AI. Cobden said that as the neutral group comes to better understand AI, there will be more trust in it. Because AI is a relatively new industry, businesses have an opportunity to market themselves better and "to win the trust of Canadians," compared to traditional industries like telecommunications. "We know more about them and familiarity tends to breed trust," Cobden said. "For example, the reason that Google search works so well is because of AI. And that's just an everyday interaction that almost all of us have — in many cases — many times a day." "But do people understand that it's AI in the algorithm that's making the search work so effectively— at least with Google— maybe not."